The Ron Turner Memorial Trophy is presented annually in honour of Ron Turner who was an inspirational member of Penguin for many years. The Trophy is awarded to an under 21 member of the Club who is considered to have shown the qualities that Ron would have admired: commitment, effort, loyalty and application to the sport of water polo and the Penguin Club. 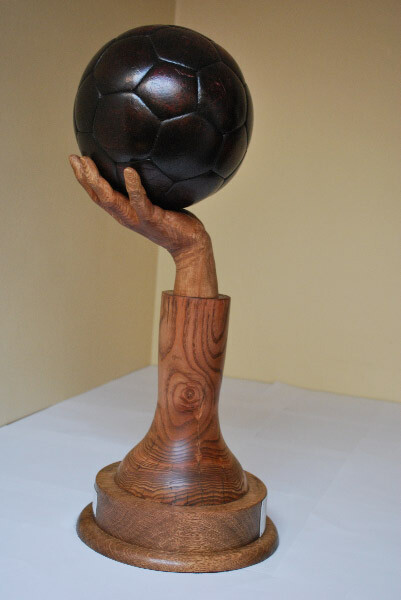 The Trophy itself is an antique leather water polo ball mounted on a hand carved from wood. It was paid for by donations from Ron’s friends in the Club. The Club Committee decides who will win the award based on nominations made by members.